Foldable design, convenient to storage. 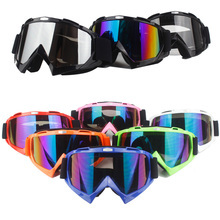 Windproof and dustproof, good protection for eyes. Adjustable elastic strap and skid proof, fit for any person. 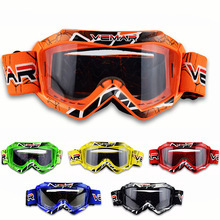 ABS goggle frame, high rigidity and good chemical resistance. Scratch-resistant and ultraviolet-proof PC lens. Sponge and leather material, soft and comfortable. Super cool classic style, a good choice for motorcycle drivers. O produto é realmente muito bom. Estou muito satisfeito com o acabamento e com a qualidade. Recomendo! добротно made glasses. look good and stylish. included pouch storage. moscow to delivery 24 day. отслеживался track. are very good looking even no tested motorcycle backpack. But very nice and comfortable. recommend purchase. winter not glasses, with the more instantly from запотевают breath, bottom hole, as for ventilation pairs of them through надувает mouth, m and l not satisfied with general disappointed. to better as clear bad in dark visible. great service ! great looking pair of goggles !